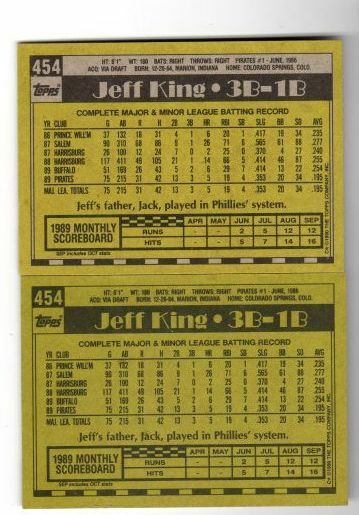 A wise man on these boards once said, "if one looks hard enough, a print variation could probably be found for every card ever made". I would agree with that, and finding interesting print variations/variants/anomalies intrigues many of us. If you have recently found an interesting one share it here for the rest of us to admire! A 1960 Charlie Neal A.S. with a solid black shadow and a transparent shadow. Last edited by 4reals; 05-10-2014 at 06:43 PM. I am at the stage where I wish I had limited myself to collecting variations recognized by some combination of SCD, Becketts or the Registry master lists. Of course ,once recognized they get instantly expensive unless you foresaw something you felt would get recognized later. The 61 Fairly cured me of that notion. Some print defects I think may be unique, and therefore very rare, but, for that reason, not very collectible ( not enough of them to get hobby into them). Other print defects may be recurring but not very notable. Last edited by ALR-bishop; 05-11-2014 at 08:36 AM. Joe, love that transparent shadow Neal. Looks better than the "regular" issue. 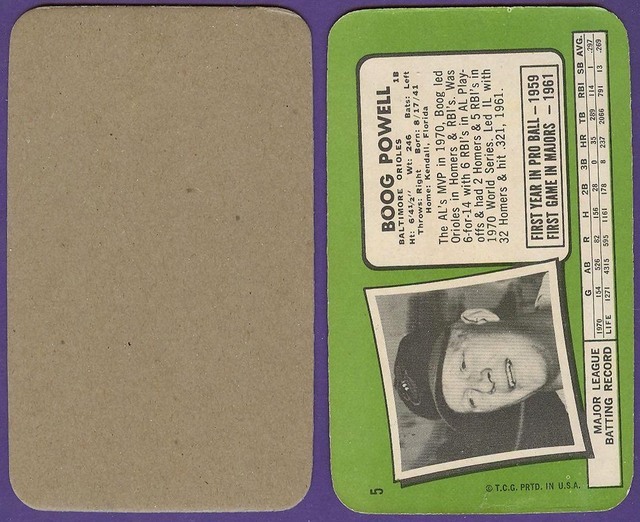 T206 & '33 Goudey HOF - Post-war '50's & '60's; '64 Standups & '71 Greatest moments. Not a major print variation, but on this 61 Hoak card there is a green spot on his belt and then another green spot near the left border also. In a very quick look through ebay and COMC, out of 60+ copies I found two with the green spots. Saved---I see the border irregularity but not the belt. 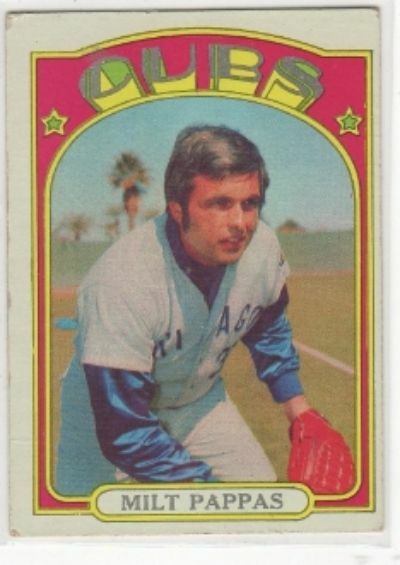 Al, just above Hoak's right hip, on his belt line (just to the left of where his black belt becomes covered by the uniform pants), there is a green print anomaly that appears on both cards. On my copy of this card, the green on the belt line is much more apparent than it appears in either of these scans. 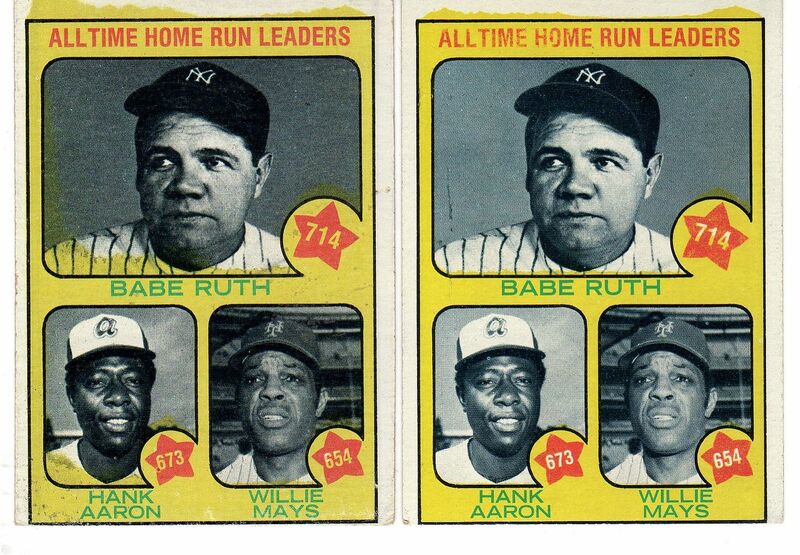 Al, the 53s are neat....what caused the difference as these cards were produced from original artwork, were they not? The 59 McDaniel has the white streak on the lower left area of the card. 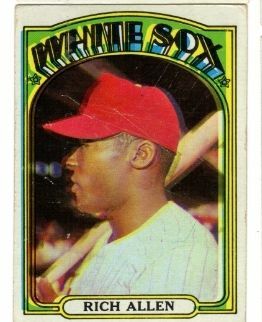 The 59 Singleton has the missing print(in the word "Chicago")...the guy I sold this card to told me he had been looking for years for a second copy to compliment his other copy with the missing print. The 63 Menke has the yellow area along the right edge...have not found a second copy of the Menke card with the yellow. Love those 56 Pepper's Al, good eye on those! seems 63 had a problem with the yellow staying trapped in cards with the green strip on the bottom, my Fairly's are somewhat similar. Last edited by 4reals; 05-16-2014 at 11:33 PM. Last edited by ALR-bishop; 05-17-2014 at 11:30 AM. There is a very rare subset of a very early printing of the 1962 Salada coins that most collectors are not aware of. The ultra rare Bailey, Brandt and Williams are a part of this printing. Every Salada collector knows that the rare Brandt comes with an S on the end of Orioles while the common one lists his team as Oriole. However the rare Brandt also has his name farther away from his face. See below. There are others with this same name farther away from the face or other printing moved on the coin. And there are the ever popular print blubs. Last edited by whiteymet; 05-17-2014 at 03:26 PM. whitey - looks like the team name is also closer or further away from the body (in some cases touching the body), not just the player's name...thanks for sharing! Back in the mid '80's I bought a complete set of '72's from a friend back home, along w/ alot of other stuff he wanted to get rid of. I went thru the box card by card to be sure they were all there and as I got to the end of the box I found this Dusty Baker card. Only 1972 I have ever seen w/ a yellow back. Normal card also shown. Last edited by ALR-bishop; 05-18-2014 at 01:14 PM. Found a new Fairly variation to go with the others I posted. This one has a blue strip on the lower left. I found this looking though my dup box. It is not a marker, I looked with my loop. It looks like the black just bled into the Philadelphia Phillies. Always ready to do some old fashioned trading!!! Send me a message if you want to get a trade going. 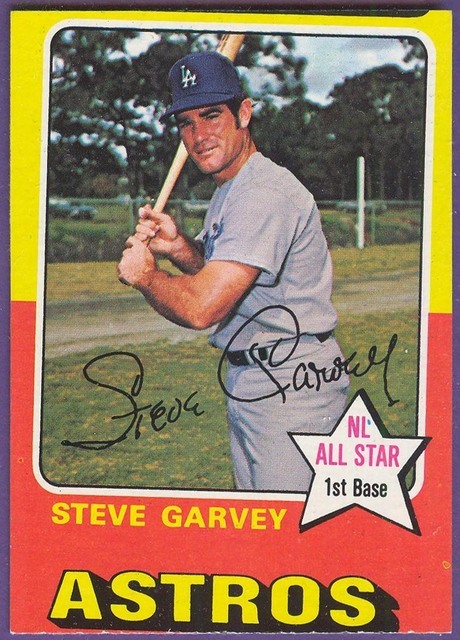 1975 Topps Mini Steve Garvey; I will call him "Mini Miscut." Adam-- is that top border uneven ? I was unaware of the purple tree variation, nice! Going thru my 61 Post Cereal cards, card #153 Andre Rodgers (Traded Line), which has 2 different background colors. Not sure exactly if a color ran out during the printing process of the one or the other. One card has a beige background and the other has a sky blue color. 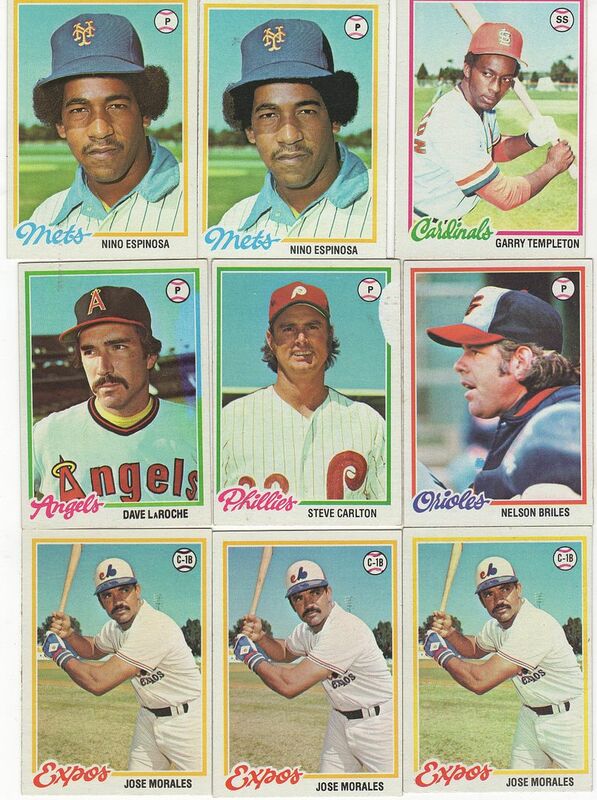 Found also that some facial details are better on some cards vs. others. 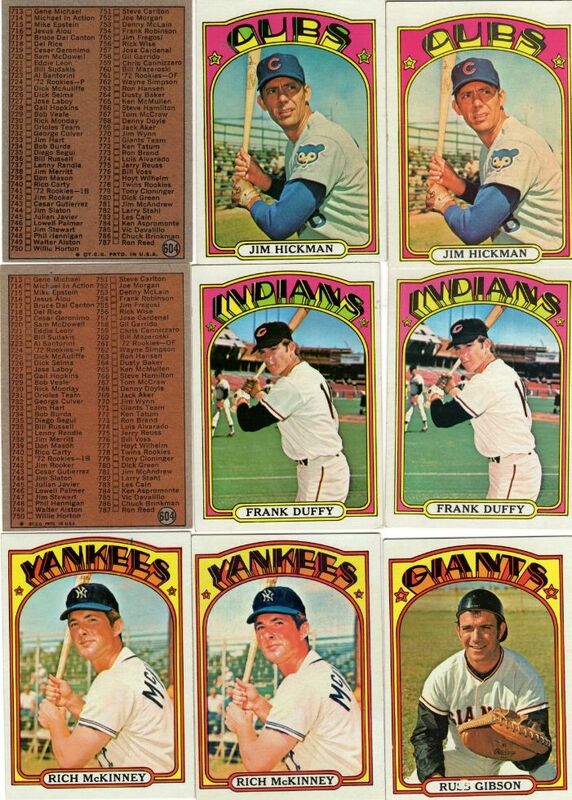 In building my 61 Post set, I found a quite a few of these background color variations. These background color variations seem to be equally plentiful no matter the background, so I have opted to keep just the best looking example of each card with out regards to the background. It is not just different color in the back ground. The photo is also cropped different. No it is the black ink framing the bottom of the next card image. Going thru my 61 Post Cereal cards, card #153 Andre Rodgers (Traded Line), which has 2 different background colors...One card has a beige background and the other has a sky blue color. Forgive me if I am about to mention a dead horse that has been repeatedly beaten, but I noticed that no one has mentioned the 62 Post set in this thread. 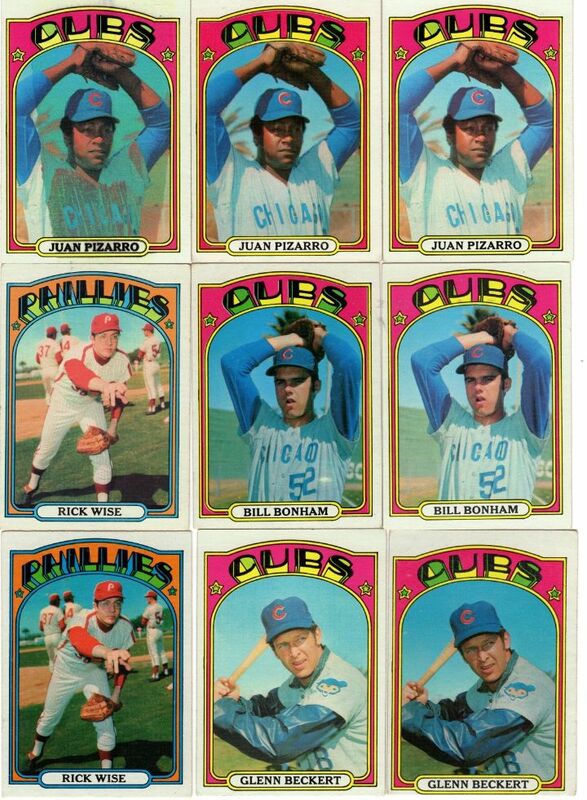 I've found 2-3 color background variations of several of the NL players, so I hung on to them in my "master set." Is there any known shortage of blue vs. white vs. in between background colors? Seems like the 61 set is a haven for these small print variations. 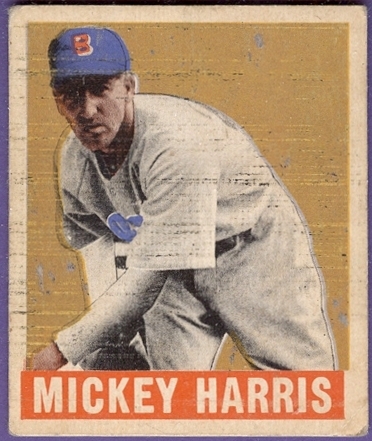 On the 257 Hardy card, along the upper left edge a small streak can be seen within the image. This appears on a seemingly small percent of the copies I viewed. More interesting is that on one of my MC copies of this card, the Gene Green card next to this card on the sheet also has the same small streak, although shorter. The Gene Green card already has a noted variation with the amount of space between the title and name varying. The last Hardy I posted is a copy that has some interesting print defects including a much bluer sky and an ink smudge near the team name. great post on the Hardy, thanks for sharing! Last edited by ALR-bishop; 06-18-2014 at 01:26 PM. Nice photos, thanks for sharing these! I see the difference Al, also the picture is cropped slightly differently. 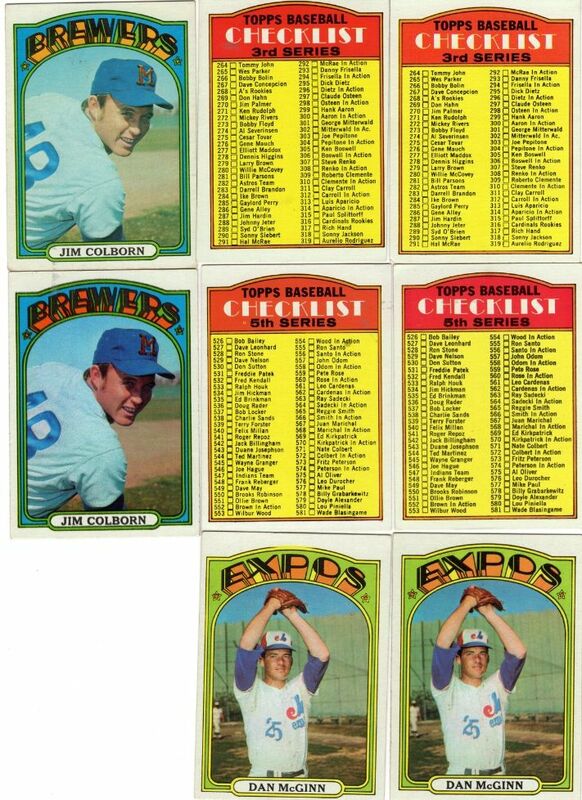 Here's a run of variations on the '67 Topps McNally card, see the sign in the upper right corner and the bleeding magenta. Nice observation Joe, I like how the bleeding progresses in the last two copies you posted. I found this 68 Wine with the border break along the left edge.... similar to the 73 border break cards. Thank you for pointing out this error version. I picked up the card on the left as the other was already sold. While there I also picked up the far right version of the 67 Topps McNally card. Here are four more 1963 Cropping Variations. Last edited by ALR-bishop; 07-07-2014 at 04:12 PM. Thanks for the link to Vrechek's article. 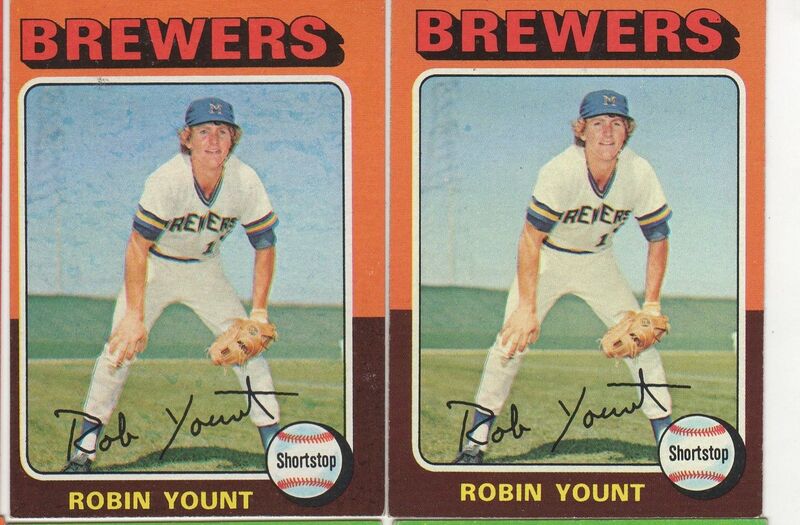 For anyone who is interested, I scanned the backs of the McBean card to show the two different variations. The "A" in the cartoon has two different colors. I have over a dozen cards of each variation and all of the McBeans with one strip showing on the front also have a yellow "A" on the back. All of my cards with the second stripe visible on the shoulder on the front of the card have a white "A' on the back. I also included a scan of the Oldis variation as well. I know not pre 1980 but this one perplexed me. 2012 Topps as they had in past years had a number of "Error" or Short Print cards in both series one and Two. But this #328 John Lackey "Rainbow" error has never gotten a listing. I had a nephew born that year so like many relatives before I put together a master set of cards for him to give when he get older. I saw some early posts for the lackey card but held off until about April then I purchased 3 of the cards one from Alabama one from Ohio and one from California. 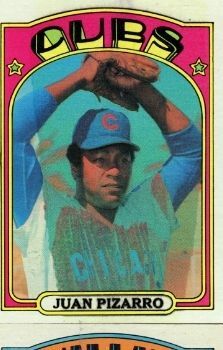 So I know it had wide distribution was only in the very first print run from that year and was told by folks that broke down many cases of Product that they only got one "rainbow lackey card each. They had held them saw no traction and sold them in April for a couple bucks each. I had them Graded last year and despite clear printing error you can see flip is the same for both cards. I did notice that about 20 2012 lackeys were graded so I would think there is a small population of the cards that has been graded and Look forward to your learned opinions. Neat item Jonathan. To the best of my knowledge PSA normally only notes variations/variants/differences on their flips after hobby recognition in some way, such as recognition in a catalog like SCD or Becketts. On the other hand, as far as I know PSA recognized the 61 Fairly on their own. Thank you for the input. What I really do not understand is clearly this card is a "variation" but in this day of company produced "variations" real ones need a champion or group of champions to hound a TPG in order to receive recognition. 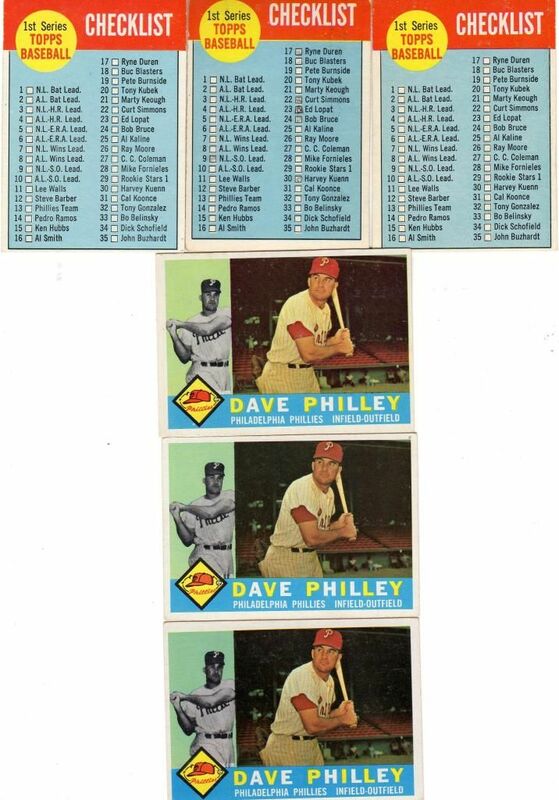 And I know that quality control is much much better now that in the 50's thru 1990's so real factory error cards are much scarcer but it seems to me a TPG would have enough experts especially in modern cards to recognize an error card when it is siting in their hand. I also know if stuff like this is my biggest problem I have NO problems. Great thread love variations. A Beckett dealer told them about the 61 Fairly and then it was listed in Beckett. PSA did not do that one independently. Thanks for that info Rich, I had not realized that. In your view how can it be distinguished from other 61s with the green in the baseball on the back ? Or other front and back print defects that are recurring and even more prominent ? I kind of understood Bob Lemke's SCD criteria before he retired. Does Beckett have some known criteria or is it ad hoc depending on who is recommending it or their persistence ? Last edited by ALR-bishop; 07-17-2014 at 07:22 PM.